Welcome to Loy Loy: The Savings Game, where you play a Cambodian female worker trying to save up money with the other players to purchase a garment factory together. Games are a valuable tool to communicate complex social dynamics. Allowing students to participate, interconnect and play creates an immediate and ongoing feedback mechanism where failure is reframed as iteration so that learning happens by doing. In this case the game teaches you about your own interactions and relations with money even as it offers a window into the everyday economic challenges and financial practices of people like the Cambodian garment workers who inspired it. As a player, you’re responsible for both negotiating and preparing for expenses that turn out to be impossible to cover using the regular wage income that you’ll receive. Most players realize this within a few turns and begin to develop their strategies while playing, either forming as many close social connections as possible or bidding large on ROSCA days to receive loans and trying to hoard. The game is engrossing: players are absorbed into a virtual reality constructed through their characters and ROSCA community. In both groups, players passionately embodied their characters while forming new friendships. Unique and surprising banter always appears as each player justifies their reasoning for deserving the money. The game encourages very particular creative thought and debating skills! We ran two testing sessions for interested gamers while at the AAAs, one in the lobby of the hotel where the conference was being held, and the second as invited guests at the AnthropologyCon salon for gaming and games at the conference. Sharing Loy Loy at the AAAs was a fun experience. 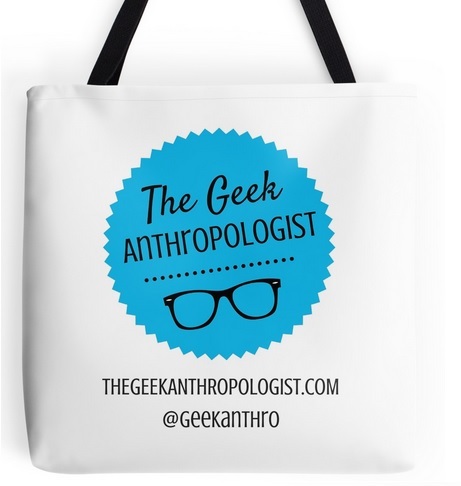 I found it immensely valuable to receive feedback from anthropologists before and after each session, and in what follows, I offer just a few reflections on what we learned. For our first staging of Loy Loy, we enlisted friends and acquaintances who joined following an advertisement. The players included graduate students, academics, and representatives from an education NGO. We set up in the central lobby of the Marriott hotel, in full view of all conference participants walking from one discussion to another. A university-mate, Leah, promised me that she would “break the game,” fully intending to disrupt the saving goal by stealing money from the pot for herself. Theft is indeed possible in Loy Loy. Despite the collaborative emphasis, each character takes cards individually on their turn, incurring expenses and easily losing personal funds collected on payday. Rather than agree on ROSCA allocation, any character can choose to take on the role of the “Thief” by simply taking money from the other players and never contributing to future group pots. However, doing so means that the Thief is excluded from the ROSCA for the remainder of the game, and must try to accumulate the $5000 on their own. Leah adopted a bad relationship with her in-game sister, maintaining a resolve to isolate her funds and not donate to assist anyone, but did not follow through on her determination to steal from the group. Strangely, she conformed, and continued to participate in the ROSCAs. This group tried but did not come close to purchasing the factory, a point they realized in the last ten minutes of play. This was not completely due to Leah’s segmentation. On reflection, most players wished that they had purchased more assets, which could have been sold back to the bank at the end of the game for half their value and thus improve their prospects of winning. Our second staging was thanks to an invite from Nick Mizer to join the AnthropologyCon Salon on Anthropology and Gaming, a gathering of anthropologists and game designers interested in how games and gaming can be adapted to anthropological ends. We occupied a table alongside both traditional board games and other new anthropology-based games. With about six large tables, the room was packed. The salon encouraged a vibrant exploration of how games can both bolster learning and supplement amity. Loy Loy was open to rigorous observation in this room, and we had a chance to answer a range of questions from interested academics. Our group of players was smaller, and so had a smaller goal of $3000 for the factory. The majority of players were undergraduate students, and their playing reflected a different familiarity with savings and money management. They adopted their roles faster than the previous group, starting the cycles easily despite the difficulty that we faced delivering the rules in the informal setting. However, despite most of them actually being friends, the players did not easily come together for a collective purpose, and only counted funds once towards the end of the game. Fewer assets were bought, and most of the participants cautiously kept bids low at each ROSCA day. Early winners received amounts as small as $20 by the end of bidding, as most seemed cautious about asking for too much from their friends. They managed to win the game and buy the factory, while the former group did not. On the first day, the group became increasingly aware of their collective goals as the game progressed, realizing their shortcoming in funds and speeding up towards the end of the game. They cooperated on ROSCA bids in order to pass payday as often as possible. The second group did not feel as much pressure, but one player commented, “Bidding [at the ROSCA] makes you into a monster.” Despite this, both groups enjoyed playing the game as the players created strong communities. People in both sessions commented on the power of the game’s social cohesiveness, despite their initial unfamiliarity with other players. As mentioned earlier, Loy Loy was developed out of a workshop conducted during one of IMTFI’s annual conferences . IMTFI fellow Andrew Crawford designed the game to help teach people in developing economies how to save, as well as inform people in developed countries how saving is managed in low-income countries. After tests in Cambodia and California, the game is available for purchase on loyloy.org, and we’re currently pitching to financial education providers, with an ambition to create a mobile app version of the game that can reach an even wider audience. The philosophy behind the game is that the poverty cycle is a rocky road without the support of your community. Life at the poverty line is extremely risky: one large, unexpected expense can spell financial ruin if you don’t have group saving, sharing, and risk management. In a way, the game contrasts the individualist motives of a capitalist financial system with the alternative ways that community institutions can fulfill both the need for a financial safety net and a method of wealth generation. While rooted in strong financial education principles—individual and collective saving, risk management, income smoothing through credit, and so on—Loy Loy also offers a kind of ethnographic experience. The game encourages players to adopt, even if only provisionally, another perspective on everyday economic life, and in so doing, it offers a window into a set of experiences and practices that players from contexts where ROSCAs don’t exist may find different. In this, it pursues a decidedly anthropological agenda: to make the strange familiar and the familiar strange. Both groups commented on the unfairness of more regularly landing on expense tiles or events which more frequently subtracted instead of supplementing their personal funds. One even stated, “Capitalism is so much easier!” In the game of Monopoly, for instance, the players don’t have any obligations to the other players except to pay rent — if they’re unlucky enough to land on a spot with hotels and houses owned by someone else. The goal is, well, monopoly — to vanquish the other players. Loy Loy tries to get players to work together despite their often opposed interests, and is based on and fosters mutual obligations–even if those become quite fractious at times! As a graduate student working with IMTFI studying the mobility of money access among the world’s poorest people, I find this a poignant and powerful message of the game. Research work carried out by IMTFI has studied how the world’s poor diversify traditional monetary relationships through their own forms of value, calculation, and organization (see www.imtfi.uci.edu for more information). Loy Loy brings a community earmarked monetary negotiation into an accessible medium for all to interact with. With only pictures and numbers, almost everyone can interact with and understand how a Cambodian ROSCA communal savings group operates through this game. The two groups involved in each of our sessions at the AAAs occupied different positions in contemporary society, although all are based in educational institutions in one form or another. Despite this, most players have come together in diverse ways. The first session was mostly strangers, but players cooperated and communicated consistently to try to reach the end goal. Yet, as an interesting contrast, the second session’s large group of young friends hesitated to ask too much of their ROSCA group, outbidding each other by only small increments each round. Payout amounts were therefore too small to really help them pay for anything, making expense payments all the more challenging.